Take a demonstration ride for an introduction to gliders. You'll fly with an FAA-licensed glider pilot in one of our two-place sailplanes. We typically operate on Thursdays, Saturdays, and Sundays year round - weather permitting. Please contact us to schedule your flight in advance. For your comfort and safety, you will need to meet certain weight and height requirements. Passengers can be up to around 6'2" and 225 lbs. Smaller passengers and children will be evaluated for their comfort and ability to see out of the glider. Safety is our primary goal. Cost: $100 for a 20-30 minute flight. No experience is necessary! 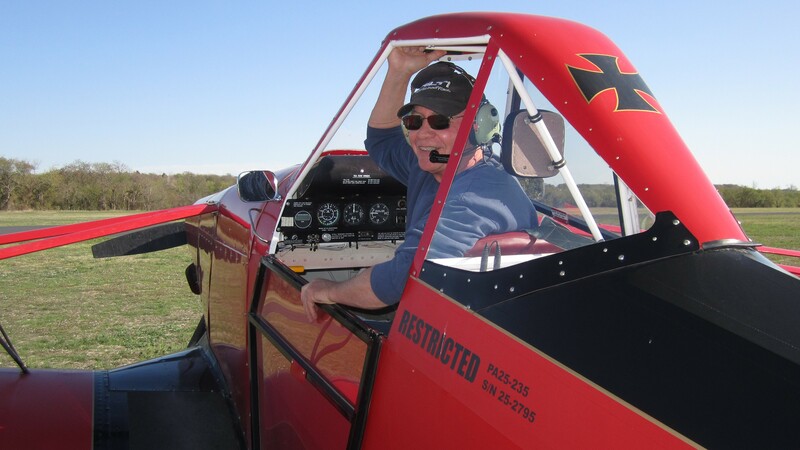 If you have dreamed of flying gliders or adding a glider rating to your pilot certificate, you can learn as a member of Texas Soaring Association. Flying gliders is an FAA-regulated activity. You will begin with introductory instruction from a FAA Certified CFI-G (Certified Flight Instructor-Glider) in theory and training flights. The time it takes to solo in a glider varies depending on how much time you have to devote to training and how quickly you progress. Soaring Society of America FAST package vouchers are also accepted. Please tell us when reserving your flight. If you hold an FAA pilot certificate, you can become a member of Texas Soaring Association and get your glider rating. Your instructor will develop a training program that fits your experience level and ignite your passion for soaring. Texas Soaring Association offers short-term memberships for glider pilots who are visiting the area and wish to fly. You must be a current member of TSA and hold a current FAA glider rating to take a tow at TSA. You must also comply with the club rules, operations manual and any other applicable regulations. Prospective members who would like to fly in are welcome. Announce on 123.30. Pattern is left traffic to runway 18 and right traffic to runway 36. Please note: TSA is a private airfield. Glider pilots need tow pilots to get in the air. If you have 100+ hours of tailwheel time, we would be happy to talk with you about towing for TSA. Let us know if you are interested.